Merrimack also claims a top spot in one of the safest towns to live in, making it the perfect spot for families and couples wanting to start a family. With Merrimack being a suburban area perfect for families, the school systems are also a draw for a lot of residents. Merrimack’s public school system ranks highly over surrounding town schools, ensuring children attending acquire a great educational experience. There are nine colleges and universities within a 10 mile radius of Merrimack’s town center, including Southern New Hampshire University. Merrimack is just a short 30-minute drive to several great Massachusetts schools, including UMass-Lowell. Living in Merrimack comes with a lot of local amenities and attractions, such as several parks, museums, restaurants, and shopping centers. Most recently, in 2012 the town of Merrimack built the Merrimack Premium Outlets - an outdoor shopping center with 56,000 square feet of retail outlet space making up 135 stores. Open all year long, this spot has drawn a lot of business and shoppers to Merrimack, in turn creating hundreds of jobs for residents. Another main attraction for residents is the Merrimack Brewery, an unmatched brewery experience that follows the history, passion, and tradition of Anheuser-Busch. With multiple tours and attractions for every taste, it has become quite a hot spot for this suburban town. Equipped with a Biergarten you will be able to enjoy the New Hampshire countryside as you savor their premium beers and food. 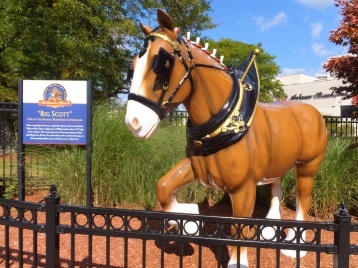 You can also venture out onto the grounds to visit the famous Budweiser Clydesdale horses. This brewery has also been home to Merrimack’s annual Rock’N Ribfest. Introduced in 2003, this family friendly summer event features BBQ, children’s games and activities, music and other entertainment. This event has been alluring for a lot of local and surrounding town residents, making it a to-do every year. If you’re living in Merrimack with a family, there are a lot of things to do together. For example, Wasserman Conservation Area is a great spot of residents of all ages, in all season. 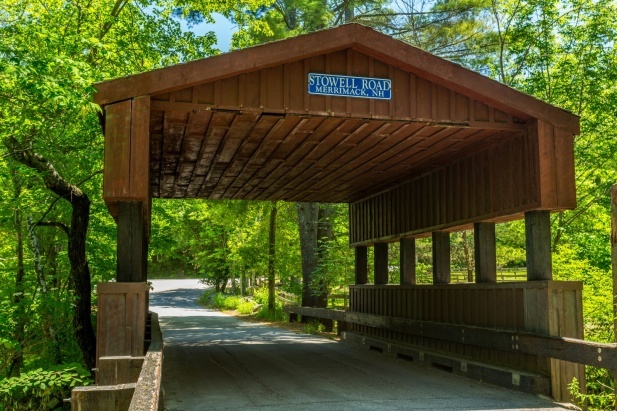 Wasserman Conservation Area consists of 88 acres of forested land purchased back in 1989 for conservation purposes. The multiple trails make for a perfect terrain for hiking, biking, cross country skiing, and snowshoeing. This beautiful conservation also offers 900 feet of shoreline on Naticook Lake - an important area for Merrimack’s water quality. Wasserman Conservation Area also offers some history - with evidence that Native Americans were living in the surrounding area in the mid 1600’s to as far back as 5,000 years. Over 75% of Merrimack’s businesses are within 2 miles to a major highway, making travel very easy and convenient. From Merrimack, it takes less than one hour to travel to the seacoast, Boston, or the Mountains and Lakes Region to the north. Merrimack is located directly between Nashua and Manchester, New Hampshire’s two largest cities. Merrimack was incorporated as a New Hampshire town in 1746 and it’s name was spelled “Marrymac” on the incorporation documents. There are four villages to the town of Merrimack: Merrimack Village (previously known as Souhegan Village), Thorntons Ferry, Reeds Ferry, and South Merrimack. Homes in Merrimack, NH have a wide variety of property styles, making it easy for everyone to find something they love. Houses in Merrimack range from single family homes to townhomes and condos, making it very promising that you’ll find what suits your personal lifestyle. Living in Merrimack means you’re bound to find classic New England homes; rich with character, intricate detailing, and charm that’s common to the region. Perfect for the home buyers who want to immerse themselves in all the history New England has to offer. However that’s not true to all homes in Merrimack; new construction homes have become increasingly popular and desired as well. With modern designs, minimalistic detailing and up-to-date features, these homes are ideal for buyers who are looking to put their personal style on the home. If you’re actively looking to buy a house in Merrimack, get in touch with us at Verani, your trusted and driven realtors all throughout the great Granite State. Or, start browsing real estate and homes for sale in Merrimack, NH on verani.com today. When you’re ready to make a move, we’re ready to show you the best homes in Merrimack, NH that are available on the market today.